For each Persistent dilemma beneath this mission, this dilemma is cost -1. 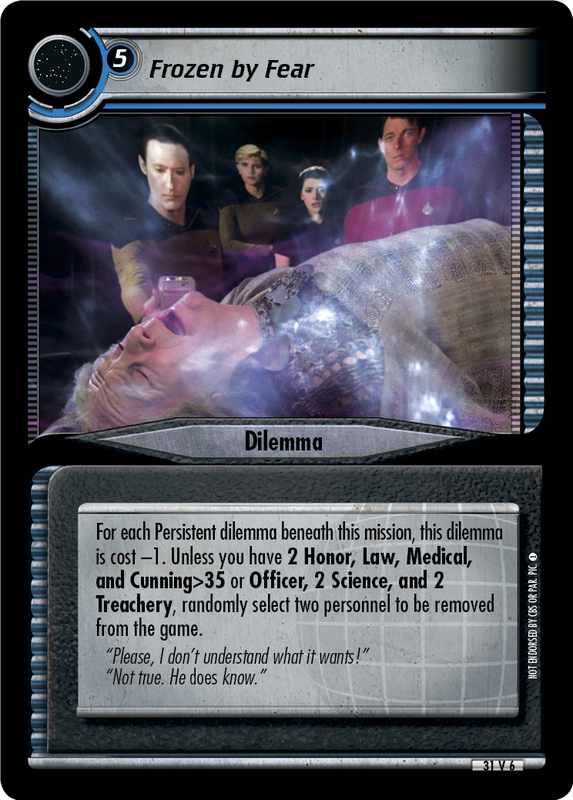 Unless you have Anthropology, Medical, 2 Security, and Strength>35 or 2 Archaeology, Transporters, and 2 Treachery, randomly select two personnel to be removed from the game. "Something like a transporter beam seems to have snatched him away..."